The Internet has changed, in just a few short decades, from a collection of static text documents to a vibrant digital world full of animations, video and dynamic content. Each time trends change, webmasters and site owners scramble to stay ahead of the latest wave of changes. Recently, another major change in web technology has occurred. However, this shift is different from past changes. The change does not involve what the Internet can display or hold, but how it is accessed by readers around the world. Mobile browsing will undoubtedly change the worlds of web design and site administration. However, there are still debates on whether a person or business should create a dedicated mobile site. 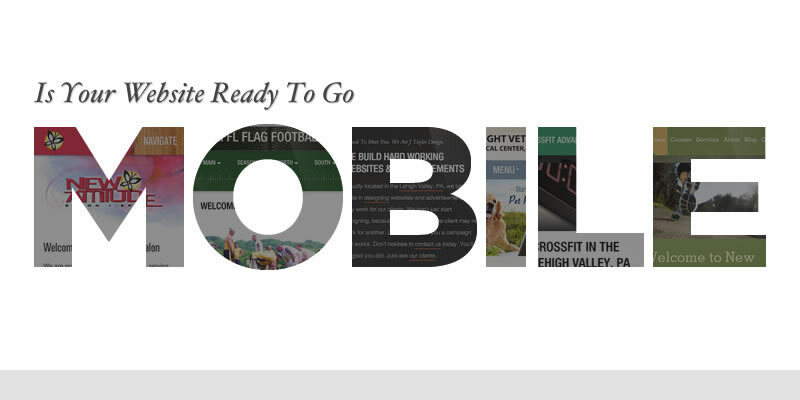 These are five major reasons to create a mobile version of your site. Most mobile devices simply cannot display content properly that was designed for traditional displays. What looks nice on even an 11-inch tablet can be virtually impossible to use on a typical four to five-inch mobile display. This means that if a customer or reader is coming to your site from their mobile device and you do not have a mobile-ready site design, you are gambling as to whether they can actually use your site at all. Statista predicts that nearly 1 billion smartphones will ship in 2013 alone. Can your site afford to miss out on the possible traffic from these devices? In a study by Google, it was estimated that 79-percent of smartphone shoppers use their phones to help with purchasing decisions. If your site is for a local business, the study showed that 88-percent of users who used their smartphone to look up local information took action on the search within 24 hours. With the app-driven nature of mobile devices, mobile Internet browsers are are often purely a means of information gathering. This means that when a viewer is browsing a mobile site, they often have a specific need. If you have a mobile site, you are in position to fill that need. At one time, creating a mobile site would mean starting from scratch. These days, most content management systems and site frameworks offer simple, point-and-click ways to generate a mobile version of your site. As an example, WPTouch can create a mobile-ready version of your WordPress site in seconds with a simple installation of a plug-in. With the technical requirements and costs for creating mobile-ready designs dropping rapidly, there are less reasons than ever not to have a mobile version of your site. Also, one standout reason that is easily tied in would be the ability to have mobile communication with key visitors with such features as Mobile Meet from InterCall and Skype international calling. Though proper SEO practices are a corner stone to search engine ranking success, creating a mobile version of your site can help as well. As your site gains traffic and authority, its rankings will naturally rise. By increasing the visibility of your site with a mobile-ready design, you are investing in your rankings and the future of your site. There is a movement in web design towards reducing the clutter and distractions on web pages. By nature, mobile designs follow many of these rules. By implementing a mobile design for your site, you might also discover ways to improve your traditional site as well. As can be seen, with the movement towards mobile computing not slowing down, it pays to keep that audience in mind when designing websites. Hello, i think that i noticed you frequented the site and so i arrived at rewind the actual like? Now i’m trying to in locating what to develop our website! I assume it is satisfactory make use of some of ones aspects!